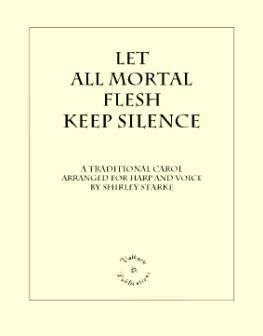 26/09/2015�� I'm seeking help with the copyright status of "Let All Mortal Flesh Keep Silence," #1 of the Three Festival Choruses, Op.36a, by Gustav Holst, transcribed for piano by Vally Lasker. I understand that this piece was set for voices and orchestra by Holst, and is available through E.C. Schirmer (orchestra parts are rental). Scored for voices with handbells and optional percussion, this setting of the traditional French carol opens mysteriously, reflecting the awe of the first verse: "Let all mortal flesh keep silence, and with fear and trembling stand."